Gemma & The Bear was voted favorite web series of the week. The results are in from the Indie Series Network and Serial Scoop "Web Series of the Week" (#WSOTW) poll for July 4-10, 2015. Gemma & The Bear was voted favorite web series for its premiere. The season finale of Family Problems was secdond, followed by new episodes of Break a Hip, Under InSpektion and #kateconwayisajerk. The acting favorites were Gemme & The Bear's Kevin R. Free and Family Problems' Wendy Hartman, and the favorite couple/duo was Christina & Alexander from Family Problems. The Favorite Couple/Duo for the second week in a row was Christina & Alexander from Family Problems. 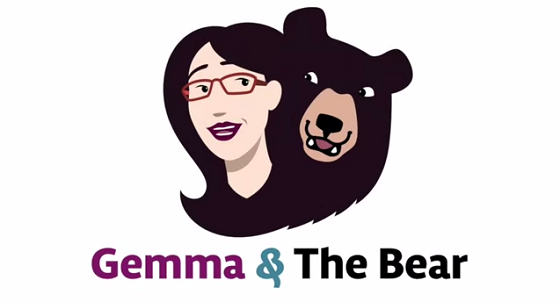 - Gemma & The Bear Episodes 1 "He's Baaaaaaaack!" (series premiere) & 2 "Meet The Bear"